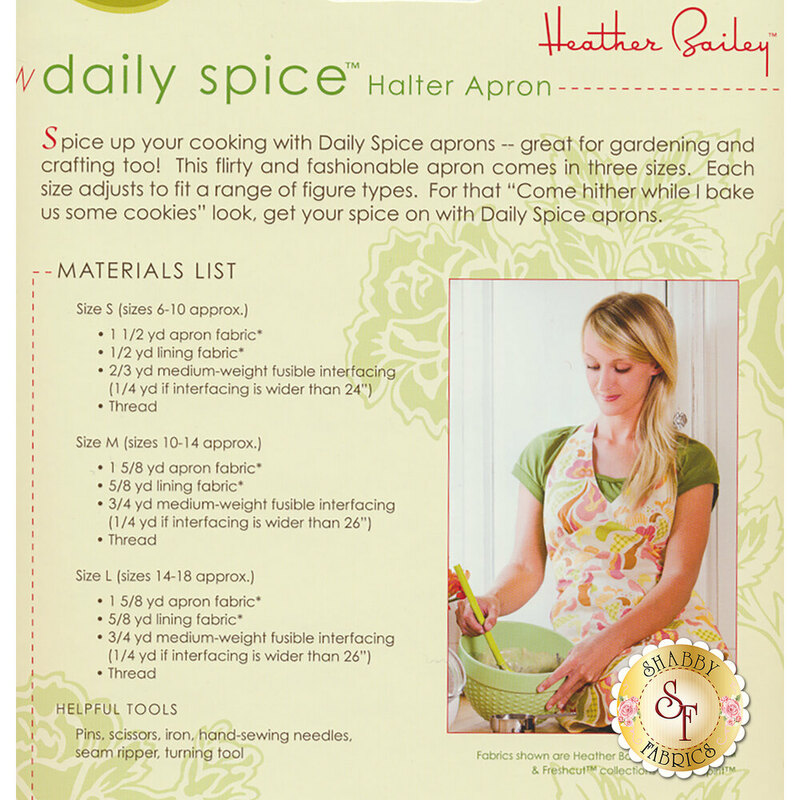 This adorable pattern is designed from Heather Bailey. 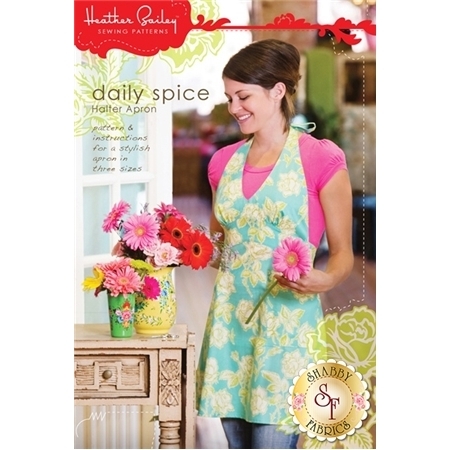 The Daily Spice Halter Apron goes perfectly while cooking as well as a fashionable gardening apparel. It comes in three different sizes of small, medium, and large.